© 2017 Premier Financial Group. All Rights Reserved. 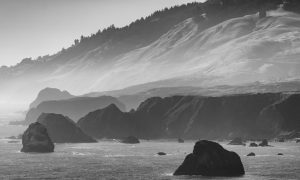 I was born and raised in Humboldt County, and four generations of my family reside here. My community is important to me and I wanted to work for a locally based company that puts clients first. It was also important to me to find a company that values their employees and truly wants to see them succeed. I found these qualities at Premier. I recently had an experience that sums up this connection to community. After staying late for a notarization appointment in order to accommodate a client’s schedule, her husband surprised me with a beautiful, hand-carved wooden sign that he’d made for my young daughter as a “thank you” for going above and beyond. Personal interactions like these are the best part of my job! As an Investment Administrator, I work closely with clients and team members to ensure both have the support and resources they need, from completing portfolio analysis to generating reports, facilitating client meetings to maintaining databases. Before joining Premier in 2014, I worked my way through school as an emergency 911 dispatcher. This experience taught me how to keep my cool in stressful situations, all the while multitasking vigorously behind the scenes. Subsequently, I honed my professional skills in the legal industry, helped manage a commercial fishing venture, and handled financials for a start-up. Serving our clients! We have had clients describe our service as the “golden standard,” and this is the greatest client experience I could hope for. I started my career as a Third Party Administrator (TPA) somewhat by accident. I joined a small TPA firm in Sacramento, and my interest in the retirement plan industry grew as I thrived on the complexity of IRS regulations and guidelines. There was always a need to keep learning in the retirement plan arena and I quickly advanced, handling over 100 retirement accounts on my own and completing everything from discrimination testing to IRS form 5500 filings. After moving to Humboldt County, I jumped at the chance to join Premier Financial Group’s retirement plan department and applying for that position at Premier is still my best career move! I started in the operations department in 2003, moved to the Investment Administrator position and now I’m the retirement plan specialist, maintaining over 50 retirement plan relationships, a position that’s as challenging and fulfilling as TPA work. I’ve learned so much about the investment component of retirement planning at Premier. Premier’s retirement planning department is superb! We offer comprehensive, high-quality services to trustees and participants of the retirement plans we manage, providing everything from one-on-one financial planning meetings to assistance preparing forms needed for a distribution or 401(k) rollover. We’re always available to educate participants about their 401(k) investment options, and we’re committed to ensuring they have access to full disclosure of all fees paid from their retirement assets. I’m proud to be a part of Premier’s retirement department because it is my passion to provide ideas that can help my clients better prepare for retirement and educate anyone who is willing to listen. Investment administrators/retirement plan specialists add value by serving as the liaison between custodians and/or record-keepers and our clients. We are always available to handle this time consuming-task by facilitating and following up on transfers and withdrawals, helping with beneficiary updates, and setting up new accounts. We pride ourselves in taking on all that we can do to help our clients complete their goals. We truly are the premier in client service! I became the professional I am today as a result of working with and learning from many great individuals and professionals. I entered the service and administrative field when I was just 15, thus learning the importance of hard work, professionalism, and serving others at an early age. I wouldn’t be where I am today without the excellent mentorship, dedication, and perseverance of those who invested their time and energy into helping me develop as a professional and as a person…I consider this a priceless gift. The best part of my position at Premier? The relationships I’ve built with clients, my colleagues, and the community. Being able to add value and work intimately with clients to promote financial wellbeing is a huge privilege, and I thoroughly enjoy building relationships with each and every client. Our clients are diverse and wonderful individuals with unique and interesting lives; I’m blessed that they share them with me and allow me to be of service to them. I’m passionate about assisting clients with estate planning. Through my years as an advisor, I’ve had the privilege to assist many clients and survivors with implementation of estate plans; during this time, I’ve encountered multiple instances where good planning has helped clients avoid pitfalls or challenges associated with administering an estate. My commitment lies in planning strategically to avoid unnecessary taxes and, most importantly, fulfilling clients’ wishes in an efficient, seamless manner that minimizes stress for survivors. Ginger advises families, non-profit organizations, and businesses on a broad range of financial planning, tax planning, and fiduciary issues. She is a Senior advisor with Premier, providing comprehensive financial estate planning for complex client estates. Ginger also leads Premier’s advisory team, which is responsible for researching, developing, and managing the firm’s investment strategies. Ginger brings more than 21 years of experience in the financial services industry to Premier, and joined the firm in 2000. She received the CERTIFIED FINANCIAL PLANNER™ credential in 2007 and is a Business Administration graduate of Cal Poly-San Luis Obispo. I enjoy being part of the Premier team because we are a local company who truly cares about the well-being of our clients and our community. Each of us has our own unique background and strengths, however, our investment management is consistent. We collaborate as a team to provide excellent service and continuity to our clients and our community. I figured out what I love doing most, which is helping people, by working my way through high school and college. While attending HSU, I completed a management intern training program for a large retail company and was hired as a merchandise manager after graduation. I was fortunate to work with a family of amazing people who taught me how to be a team member. I took these lessons and skills with me into the financial industry, and this is where I have grown the most. My 21 years of experience in banking and financial advising also set me up for success at Premier. Time spent serving as a relationship banker and advisor to individuals and their families gave me the opportunity to discover my niche: providing excellent service to my clients and a being leader to my teammates. After spending 21 years in the retail banking & financial industry, I joined Premier in 2015 because I could see an opportunity to grow both professionally and personally. Through my own family’s experience, I witnessed first-hand Premier’s strong track record of performance, service, and consistency. Coming from the corporate world, I was ready to work with and be mentored by professionals with years of hands-on industry experience. Along with the opportunity to provide solutions for clients, my favorite part of being on the Premier team has to be the relationships I’ve forged between co-workers, clients, and the community. These bonds exist thanks in large part to our firm’s cultural focus on open communication. An emphasis on making connections also allows me to help clients realize that they don’t have to be afraid of personal finances and that this common fear can be mitigated — or even eradicated — by taking an educated and proactive approach to financial planning. If I could tell my clients just one thing, it would be “You don’t have to do it alone.” Creating a financial planning partnership with my clients is where I really shine. Another favorite about working with Premier? Helping clients plan for retirement. I believe that we, as a society, need become more reliant on ourselves to prepare for a comfortable retirement, and I love helping clients formulate a plan so they can independently prepare to reach their retirement goals. I’m a Humboldt County native, and after almost a decade spent working in the financial industry as a Trust Investment Officer in the Central Valley, I came back to raise my family in the community that I call home. I was excited to join the Premier team in 2012, as Premier’s focus on fiduciary responsibility aligns with my personal commitment to putting the needs of the client before the needs of the firm. In my role as an advisor to individuals, families, estates, foundations, and retirement plans, I put that commitment into practice on a daily basis. But I didn’t start out with the goal of becoming the financial professional I am today; rather, I loved creating art, especially the creativity and critical thinking it requires. I also loved science; solving mathematical and formulaic equations has always been enjoyable to me, much like a game or a puzzle. Financial advising lets me do both! I get to use scientific techniques in creative ways to solve unique, real-world problems for real individuals. Wayne, along with his two partners, has built Premier into a prestigious SEC RIA firm that services over 450 clients. Wayne’s major responsibilities are superior practice management, maximizing equity in the firm, enhancing strategic alliances and preparing the next generation of Premier’s professionals. All Premier’s efforts are directed toward holistic client relationships to enhance their financial peace of mind. Wayne has been a resident of Humboldt County since 1978 and now resides in McKinleyville. Wayne got into the financial services industry in 1983 when he began the CERTIFIED FINANCIAL PLANNER™ program, and prior to that was involved in income tax preparation and business planning. Wayne now holds the CFP®credential along with the Registered Financial Consultant (RFC). Wayne has a strong passion for the fiduciary stand that Premier takes with each client. Over the last 15 years, he has spoken at many events and made numerous pleas in support of the fiduciary standard and the Prudent Investor Rules. I met the members of the firm, including the Board of Directors, at a serendipitous moment. After completing a bit of research, I realized that Premier’s core values — loyalty, trust, and integrity — align closely with my personal values. I have found that the level of honesty, respect and authenticity Premier offers, both to clients and to other team members, is inspiring and something I greatly admire. I consider working at Premier my greatest accomplishment to date. I grew up in my grandparents’ home in Rio Dell, California. They instilled in me the values of hard work, fierce loyalty, and independence. I attended Fortuna Union High School, then enrolled at Humboldt State University where I studied Business Administration with a focus in Finance and Marketing. During my time at HSU, I worked as the Marketing Ambassador for J & A Food’s Northern California division. Before joining the Premier team, I worked in fields with a customer service focus for more than a decade. Everyone in my immediate family grew up in Humboldt County. I’ve never moved out of this area, and don’t plan to. I love being so close to the lakes and rivers and enjoy the many unique small town events. Growing up I had a Rottweiler, then a yellow Labrador, and now I have a very sassy Pembroke Welsh Corgi who goes everywhere with me. My interest in finance began when I was 20-year-old student. I read every book I could get my hands on and soon switched my major to economics, choosing a pathway that included finance coursework. My studies led me to an interest in the Efficient Markets Hypothesis, and I decided to pursue graduate studies in Financial Economics at Cal State Fullerton. I soon developed a passion for utilizing financial literacy as a tool to fight poverty, empower individuals, and improve lives with minimal government involvement. As part of my graduate thesis, I developed a course for elementary school children that teaches the basic principles of saving and investing. After teaching economics at Humboldt State University for a few years, I decided it was time to start practicing what I’d been preaching. I was pleasantly surprised to find Premier’s investment philosophy and business ethics were closely aligned with my own, particularly an emphasis of the reality of market efficiency. While many investment firms steer clients toward costly actively managed funds, Premier embraces the reality of market efficiency and its direct implication on portfolio management: A focus on asset allocation among low-cost passively managed funds, rather than chasing elusive returns from security selection. This sound, reality-based approach is the approach that I learned in graduate school, taught to my own students, and follow with my own personal investments. Premier ranks among the top 5% of Registered Investment Advisors (RIA) in the nation; significantly, Premier has achieved this status as a local business and contributing member of the Eureka community. I attribute this success to Premier’s commitment to evidence-based investing, ethics, and dedicated service to clients. For me, the opportunity to be a part of a successful firm that is guided by ethics and evidence right here in Humboldt County is truly fulfilling. The amazing individuals that I get to work with every day is what inspires me most about Premier! Each person is genuine, communicative and truly cares about the relationships that they foster with clients and co-workers. I feel like I’ve been a part of the team from day one. Before joining Premier, I worked for nearly 10 years as a receptionist in a very busy, female-owned veterinary hospital. While I loved seeing animals on a daily basis, my passion was for their people. Bringing your pet to the vet can be such an emotional experience, and it was my job to make sure each client’s needs were met, whether that meant getting their questions answered or bringing them a cup of water. Their comfort was my top priority. I was born and raised in Alaska and spent my teens and early 20’s in the Bay Area. After my parents moved to Humboldt County, my husband and I visited them once or twice a year. As the years went on, that increased to three or four visits or more. After each visit, our yearning to come back grew stronger and we realized that this is where we want to build a home and raise our family. In 2017, we made it happen. My two young daughters keep us active. Our oldest loves her weekly gymnastics classes in an amazing local program and my husband enjoys taking the girls to feed the fish at Mad River Fish Hatchery. We thoroughly enjoy all of the local events that are featured here, especially over the summer. However, our ideal weekend is spent taking walks around the neighborhood and hanging out in the backyard with the dogs. I was born and raised in Tulsa, Oklahoma. I graduated from the University of Tulsa with a bachelor’s in economics, then went on to earn M.S. and Ph.D. degrees from Oklahoma State University in economics. From 1969 to 1979, I taught economics at Humboldt State University. After earning a designation as a CERTIFIED FINANCIAL PLANNER™, I went into private practice as an investment advisor. In 1990, I joined with Wayne Caldwell and John Gloor to establish Premier Financial Group. Six years later, we established a relationship with Dimensional Fund Advisors, providing Premier with access to passively managed institutional mutual funds. I am the author of The Unbeatable Market: Taking the Indexing Path to Financial Peace of Mind. I enjoy spending time with my two adult children, Garen and Carly, my son-in-law, John Washington, and especially John’s and Carly’s two boys, Gus and Hugh. Garen lives in Arcata, and Carly, John, and their boys live in Ames, Iowa. My primary hobbies are jogging, golf, and gardening. I serve on the Board of Directors and the Greens Committee at Baywood Country Club in Arcata. I was originally attracted to Premier’s authentic sense of loyalty and dedication to each client, as well as their dedication to building strong relationships. Premier staff share a responsibility: providing clients with honest, valuable advice that will positively impact their lives. Every Premier team member is equally diligent in their commitment to consistently promoting all aspects of our clients’ financial well-being. After joining the firm, I learned that this commitment extends to the Premier team, as well as to our community. It’s part of an overall commitment to transparency that I also find inspiring; as a fiduciary, Premier always puts clients’ interests first. Our clients know exactly what it will cost them to work with us, and they don’t have surprises on their statements. HOW DID I BECOME THE PROFESSIONAL I AM TODAY? I joined Premier in 2013 after 10 years in the legal world. Since then, I’ve learned everything I know now about the wealth management industry, thanks to the mentoring, coaching and opportunities Premier has provided to me. My team supports my endeavors, and my superiors help foster my individual abilities and goals. I could not see myself growing as much as I have in the past few years with any other company! WHAT DOES IT MEAN TO BE A FIDUCIARY? Being a fiduciary is something we live and breathe at Premier. As a fiduciary, we must put the interests of those who have entrusted us above all others, even our own. But the Premier team isn’t just legally required to be a fiduciary: that’s also the way we choose to behave. Putting others’ interests ahead of our own and practicing transparency in disclosure is a way of life. In fact, this fiduciary way of being extends to our relationship with everyone on the Premier team. Not only do we practice the fiduciary standard with clients, we continuously train and review our practices so we’re always working towards exhibiting the highest possible standards. The ‘fiduciary’ way of being inspires and informs all our relationships. What I particularly love is that it dovetails perfectly with my natural inclination to be of service to my clients and my team. I look forward to sharing this with everyone I meet, and with all those I’m blessed to have a relationship with. There are two driving themes in my life: one is recognizing that it’s in my best interest to be of help and service to others, and the second is that I have more freedom, choice and happiness when I’m self-sufficient, responsible and accountable for my decisions and actions. My history is an expression and example of those themes. I’ve lived in many places around the world, from the Philippines and Japan to Venezuela and Panama, from Alaska to New York, from Arizona to California. For the past 22 years, I’ve made my home in Humboldt County; it’s the most amazing place—the lagoons, the “six” rivers, the Trinity Alps and Marble Mountains, Horse Mountain—and offers a great lifestyle for raising a family. The people I’ve met, served and become friends with here are the best! My joining Premier is the culmination of these driving themes: Premier’s focus on creating financial peace of mind has greatly enhanced and deepened my own self-sufficiency, which allows for generosity, compassion and growth as a human being in partnership with other great people. I get to work with wonderful people, serving and helping them not only in financial matters, but in a range of other parts of life…and many have become new best friends. HOW DOES PREMIER INSPIRE ME?The people here inspire me. My teammates are thoughtful, caring, hardworking and supportive. Even before I was hired, during the interview process, I was able to get a great glimpse into the culture of Premier through intelligent and inspiring conversations with team members. This is a work environment where everyone is encouraged to be their best. I also love meeting our clients and hearing their stories. It’s so inspiring to be able to support people and help them find financial peace of mind. I’m grateful that each person is highly valued and the team wants each person’s voice to be heard. I love that the environment here is characterized by ongoing learning and collaboration. The Premier team truly strives to embody excellence and assist our clients in developing financial peace of mind. It’s very rewarding to be able to do that on a daily basis. When I first joined the team, Premier’s core values really stood out to me. Since then, I’ve found that the Premier team is committed to making those values a priority each day at work. Appreciation, collaboration, excellence, integrity, passion and fun—these are values I strive to live by, both in and out of the office! I’m from San Rafael, CA; I moved to Humboldt County to attend college in 2001 and fell in love with the area. I joined Premier in 2016; a number of meaningful positions along the way helped shape the professional I am today. I have had many diverse opportunities and have a passion for helping people; in fact, relating and connecting with people is something that just comes naturally to me. I have had a wide range of experience, from management to marketing. I am creative, enthusiastic and spirited, and bring fun and great energy to any team environment. The dedication to excellence and commitment to service is what appeals to me most about Premier. It is very clear: everyone at Premier is dedicated to being part of a team, and committed to communicating and serving our clients with a level of professionalism that is hard to find elsewhere. I am so excited to be part of a dynamic, exceptional group of people who work hard, have fun, deliver amazing service and are aligned with the company and its values and principles. These qualities have appealed to me since I joined the Premier team. The firm’s genuine commitment to excellence and strong integrity are perfectly aligned with my own principles. I love that I come to work every day knowing that I am in good company, part with a dedicated team who are all here for one principle purpose: helping clients effectively manage their valuable life’s earnings. John has been in the financial industry since 1987, and prior to that he worked his way through college doing construction. John is one of three co-founders of Premier Financial Group, Inc and is the Senior Advisor to our Retirement Plan Department. He has been instrumental in guiding and advising many significant local retirement plan sponsors. John is passionate about being a true fiduciary for every client he comes in contact with, and is an advocate for the protection and education of all retirement plan trustees and participants. He resides in McKinelyville, CA with his wife.